34,932 visitors from 118 countries, more than 400 exhibitors from all over the world – the Busworld fair in Kortrijk/Belgium from October 16 to October 21, 2015, registered record figures in terms of visitors and exhibitors this year. For friedola®TECH the bus exhibition went very well. The company exhibited for the first time on the bus fair. 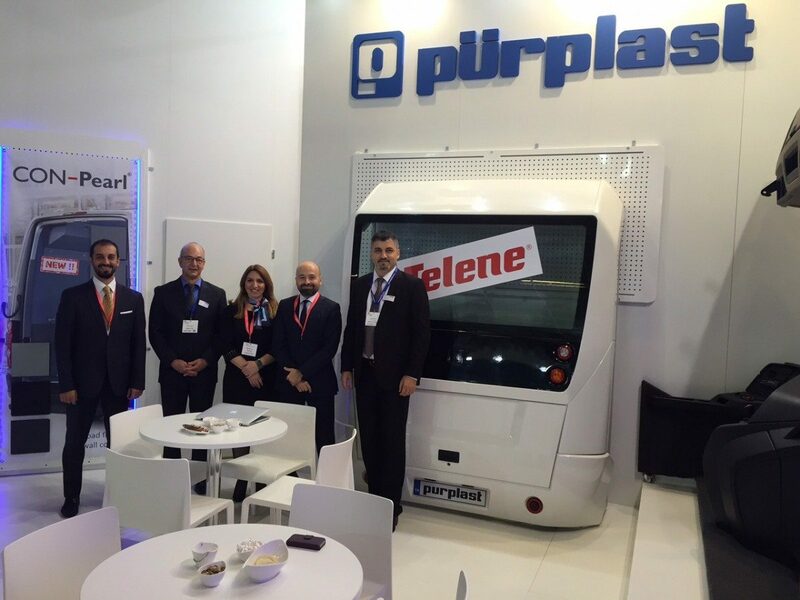 Together with their Turkish partner, company purplast, friedola®TECH presented its current range of side linings and ply linings from their Con-Pearl® brand. The lightweight and sturdy plastic linings for load compartments received great attention of the professional visitors. All three standard lines of the load floor – “Allround”, “Strong” and “Safestep” – and the entire range of van liners were asked very much. Visitors also reviewed fleece covered Con-Pearl® products for the application as side panels in busses. friedola®TECH received numerous project requests and first orders directly after the show – including requests from major bus manufacturers from Asia, South America and Eastern Europe.